Hello! My name is Skippy! No silly, not after the peanut butter-though I am always up for a little bit of that in my kong. But my name is actually because when I meet you, I am so happy that I skip across the room and into your arms! 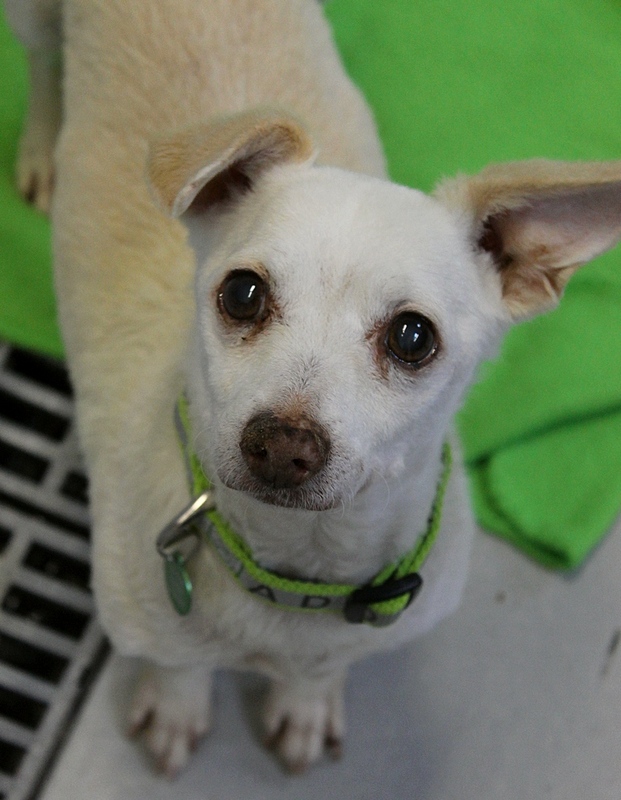 I am a 13 year old chihuahua mix hailing all the way from LA. I have had a pretty adventurous life and though I still love my daily walks, I am ready to settle into my new quiet home and get a little rest and relaxation with my new family. I wouldn’t mind having another kitty in the home, but I prefer to be the star of the show and only pup in the home. But my adult human pals are my real favorite, as I am the best darn cuddler this side of the Mississippi! I am very happy with attention of any kind and I am just yearning to be someone’s companion. I am just a sweet soul with a big heart that I want to share with you! Fill out an application today, so we can meet. I come to you vaccinated, micro-chipped, and neutered with up to date dental and an adoption fee of $300.